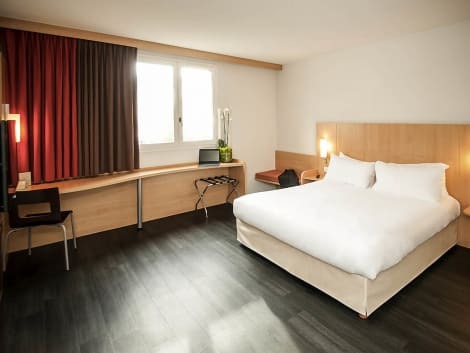 A stay at Kyriad Nice Port places you in the heart of Nice, within a 10-minute walk of Place Massena and Nice Acropolis Convention and Exhibition Center. This hotel is 0.7 mi (1.1 km) from Cours Saleya and 1.1 mi (1.7 km) from Promenade des Anglais. Anne Aubert and her team offer you a warm and personalized welcome. Located in the heart of Nice, 10 minutes from the old town, the 3-star hotel, 42 modern rooms, are all equipped with a private bathroom. Wi-Fi internet access is available in all rooms and public areas An all-you-can-eat buffet breakfast is served daily from 6:30 to 10:00. The reception is open 24 hours a day to answer your questions and allow you to enjoy your stay. The Acropolis tram stop is located next to the hotel. The hotel is 15 minutes from Nice International Airport and a 10-minute drive from the A8 motorway. The Near Est carpark is the Acropolis carpark. In the centre of Nice, close to the Albert 1st Gardens, the shops and the Old Town’s famous flower market, and 500 metres from the seafront, the Hotel Vendome is full of period charm, but has also been fully renovated to offer plenty of modern comforts. 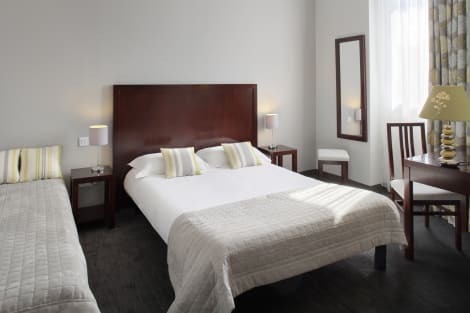 The hotel offers a cosy lounge and bar and a breakfast buffet, as well as its own private car park. Furnished in a modern style, rooms offer flat-screen TVs with cable channels, minibars, air conditioning, soundproofing and free wi-fi access. Make yourself at home in one of the 34 guestrooms featuring refrigerators and flat-screen televisions. Complimentary wireless Internet access keeps you connected, and satellite programming is available for your entertainment. Private bathrooms have complimentary toiletries and hair dryers. Conveniences include safes and desks, as well as phones with free local calls.